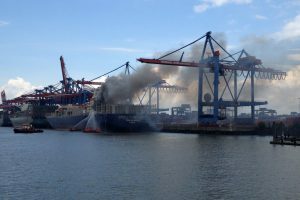 HAMBURG, Germany (Oct. 6, 2016)- The container vessel CCNI Arauco caught fire in the aft container hold on Sept. 1. After four intense weeks, Ardent safely returned the vessel to the owners. Ardent emergency response crews worked with local firefighters to successfully extinguish the fire. Other experts from Ardent contained the situation with local authorities and worked with all parties with follow-on operations. A salvage contract was signed to speed the response and clean-up operations, drastically shortening the possible long negotiation time. The aft hold was partly flooded to extinguish the fire, subsequently contaminating the water in the hold. Ardent safely discharged the contaminated water which was pumped into tankers to bring it to off-site final disposal facilities. 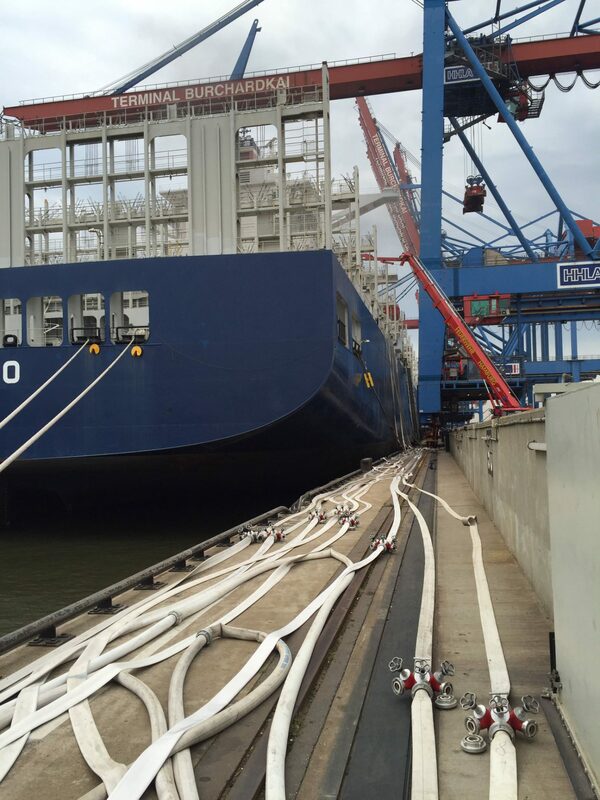 Ardent discharged the damaged containers out of the vessels cargo hold. These containers were declared as dangerous waste and required special treatment. The vessel was safely returned to the owners for repair works subsequently. “Technically it was a routine job, but our staff worked well with all the stakeholders to ensure a smooth follow-on operation. 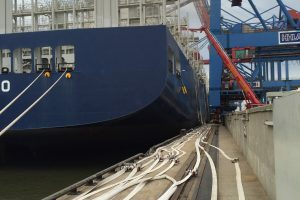 Compared to similar incidents in Germany we can speak about a relatively fast clean-up operation,” said Tesmar. Ardent has a history of success in responding to vessel fires and emergencies. In late August, Ardent responded to the Caribbean Fantasy, a vehicle ferry that caught fire off San Juan, Puerto Rico. The Caribbean Fantasy was covered under Ardent’s OPA-90, Salvage and Marine Fire Fighting “SMFF” coverage program. 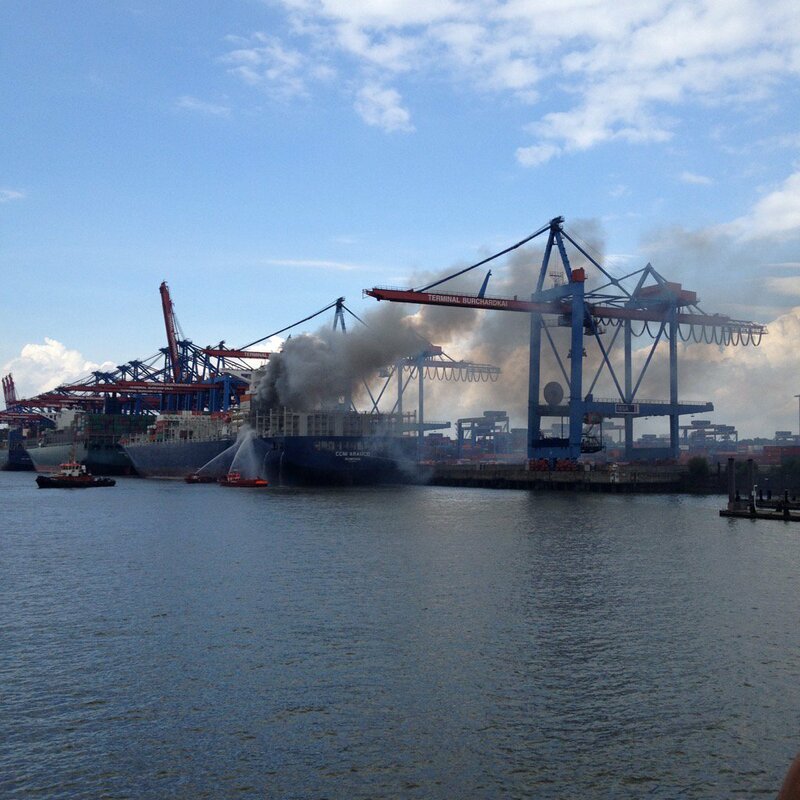 HAMBURG, Germany (Sept. 1, 2016)- The container vessel “CCNI Arauco” caught fire in the aft container hold on Sept. 1. After four intense weeks, Ardent safely returned the vessel to the owners.